Hand-cast ceramic tiles hand-painted in variety of ceramic glazes. 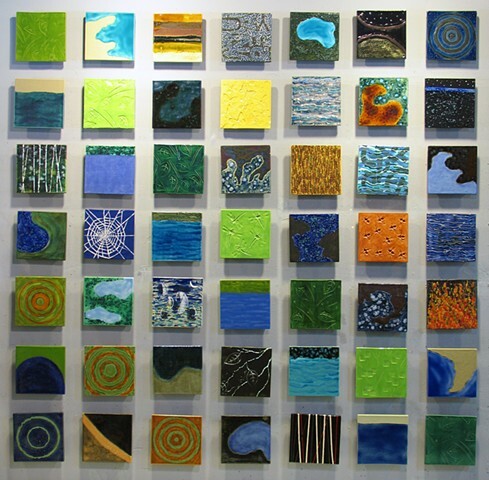 Modular work can be hung in any configuration, and re-arranged into any sequence. Price includes hidden 'floating' wall frames. Dimensions variabe - shown 80" x 80" x 1.5"